The girlfriend of Las Vegas killer Stephen Paddock broke her silence Wednesday, saying she had no idea her boyfriend was planning the bloodthirsty rampage that left at least 58 people dead. “It never occurred to me in any way whatsoever that he was planning violence against anyone,” Marilou Danley said in a statement read by her lawyer Matthew Lombard after her meeting with FBI and Las Vegas Police investigators in Los Angeles. Danley said she was out of the country on a trip paid for by Paddock. She thought the trip was Paddock's way “of breaking up with me,” she said. “Anything I can do to help ease suffering and help in any way, I will do. Please respect my privacy and my family's privacy,” she added. Danley arrived in Los Angeles Tuesday night and met with investigators at the FBI's headquarters in Los Angeles for several hours. Danley, 62, was thousands of miles away in the Philippines when police first revealed her identity and said she might hold the key to why Paddock set up a sniper’s nest on the 32nd floor of the Mandalay Bay Resort and Casino and rained death on a country music festival. Before she met with investigators, ABC News reported she told her brother she had a “clear conscience” and wanted to clear her name. “I called her up immediately and she said, 'Relax, we shouldn't worry about it. I'll fix it. Do not panic. I have a clean conscience,'" her bother, Reynaldo Bustos, told ABC News. Police named Danley a person of interest as they investigate the deadliest mass shooting in modern U.S. history. Danley’s two sisters told Australia's 7 News they believe Paddock surprised her with a solo ticket to the southeast Asian islands to keep her in the dark about his plan to kill. “I know that she don't know anything as well, like us. She was sent away. She was away so that she will be not there to interfere with what he's planning,” one of the sisters said through tears, her face blurred to protect her identity. “She didn't even know that she's going to the Philippines until Steve said, 'Oh, Marilou, I found you a cheap ticket to the Philippines,’” the sister said. “He sent her away so that he can plan what he’s planning without interruptions. In that sense, I thank him for sparing my sister's life. But that won't be to compensate the 59 people's lives,” she said. "She probably was even (more) shocked than us because she is more closer to him than us. You know, to be able to find out the person you love and live with can do such thing. And you thought you know the person yourself," the sister who spoke for the two during the on-camera interview said. The sisters to Channel 7 they believe Danley, who moved to the U.S. in 1989, knew that Paddock had guns, but not that many. "Marilou seems madly in love with Steve, you know?" the sister said. "If Marilou was there...she would definitely stop something, whatever what he was planning." FBI agents greeted her after Philippine Air Lines Flight 102 landed at Los Angeles International Airport around 7:30 p.m. local time. 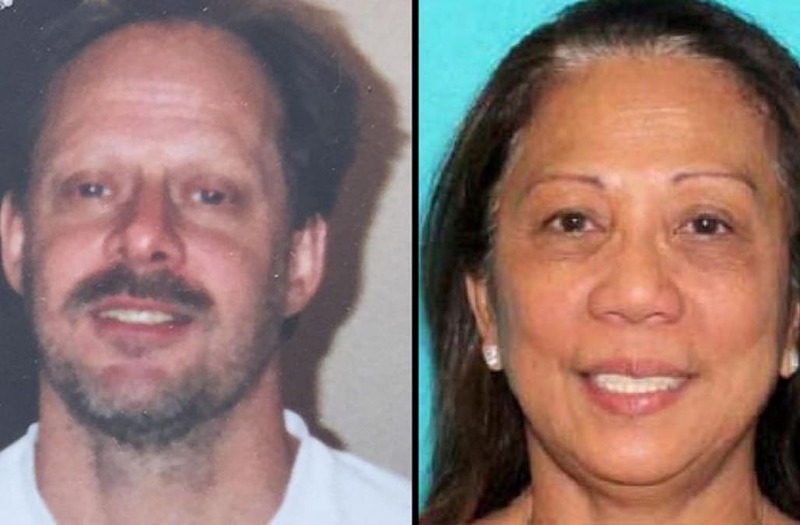 She was wanted for questioning after authorities announced she lived with Danley at Paddock's condo in Mesquite, Nev. about 80 miles northeast of Las Vegas. Investigators have not shared a hint of Paddock's motive. “Steve would have wanted to take care of Marilou,” he said, according to video published by NBC News. "Condemn Steve for gambling. Steve took care of the people he loved. He made me and my family wealthy," the brother said. Speaking to the New York Times, Eric Paddock said Danley was one of the few people the killer seemed to love. "She was probably one of the only people I've ever seen that he'd go out his way to do a little thing for," the younger brother said. "He went out of his way to be nice to her. This is not something Steve does - go out of his way." Paddock took his own life moments after the senseless slaughter -- before a team of police officers stormed his hideout at the Strip hotel.